Shopping for Star Trek Coasters? You'll need these in the final frontier. Celebrate Star Trek! The coasters in this Star Trek Isolinear Chip Coaster 2-Pack are glow-in-the-dark! 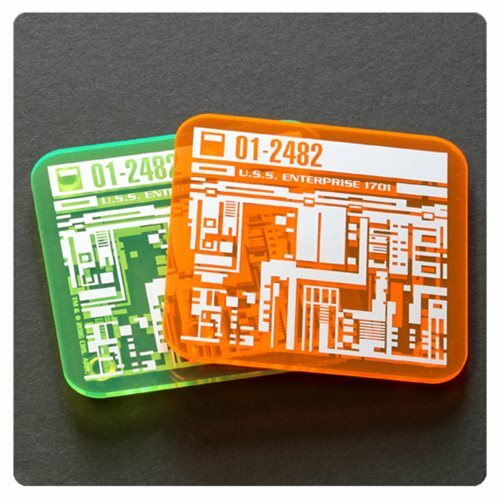 Coasters are made of neon acrylic with metallic silver circuitry on top and etched circuitry on the bottom. Coasters measure approximately 3 3/4-inches square each. Ages 13 and up.